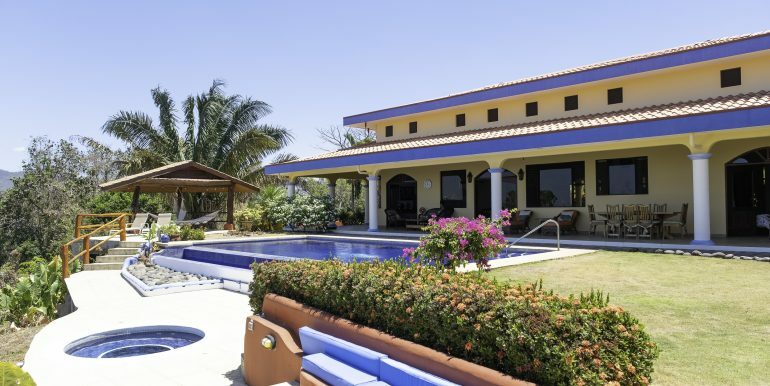 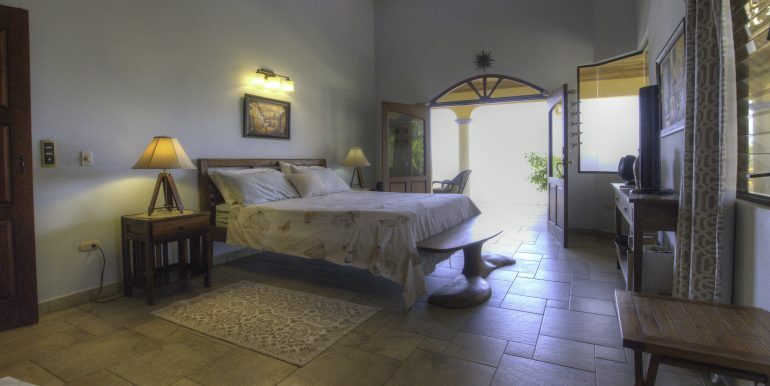 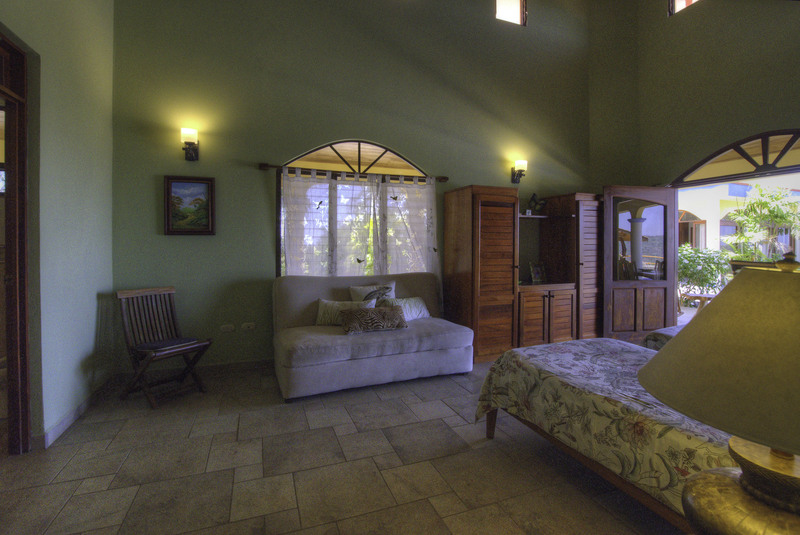 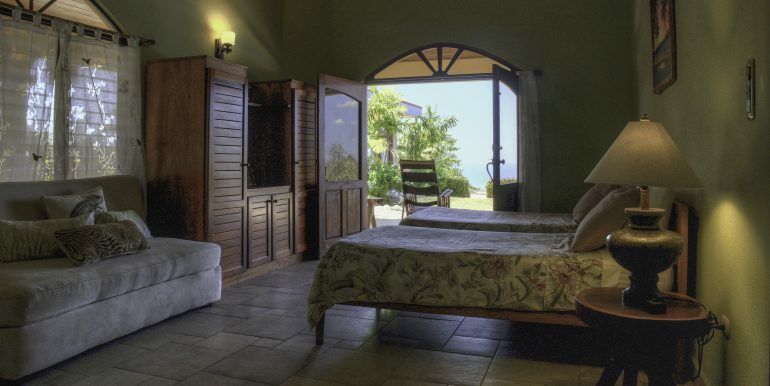 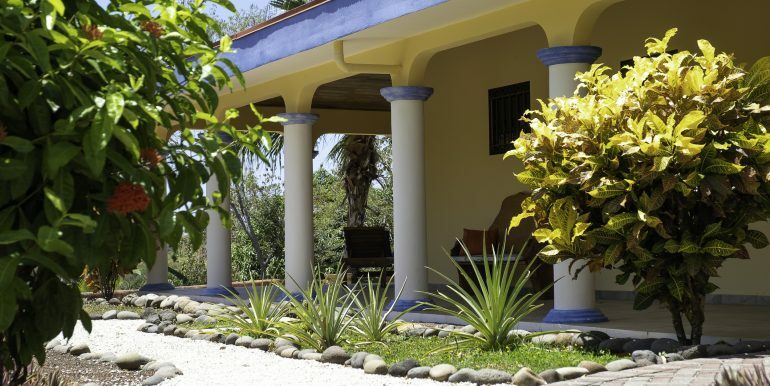 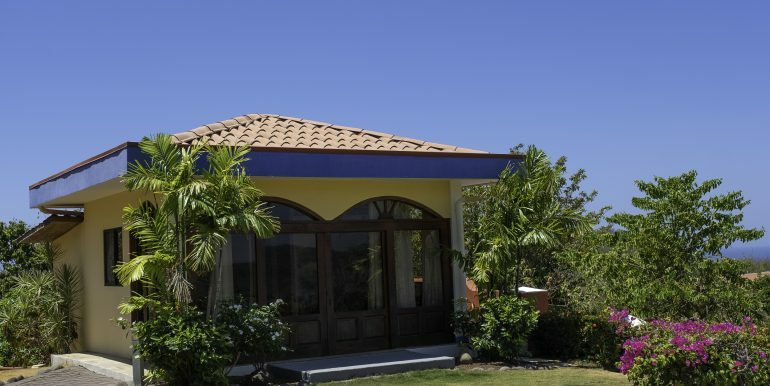 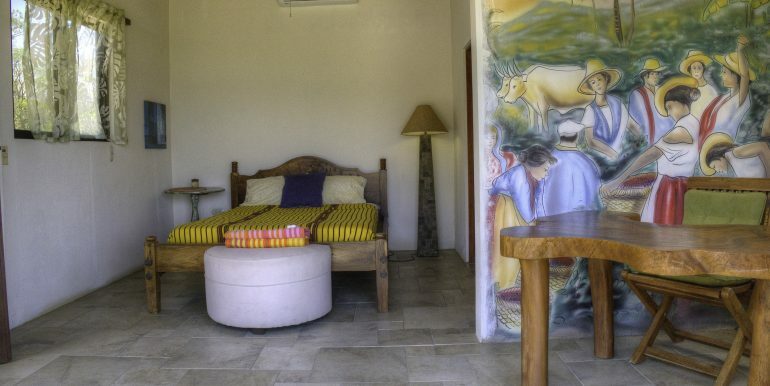 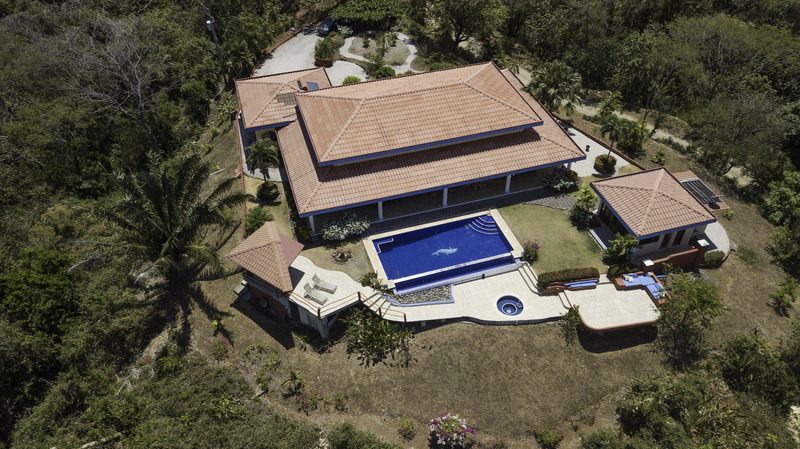 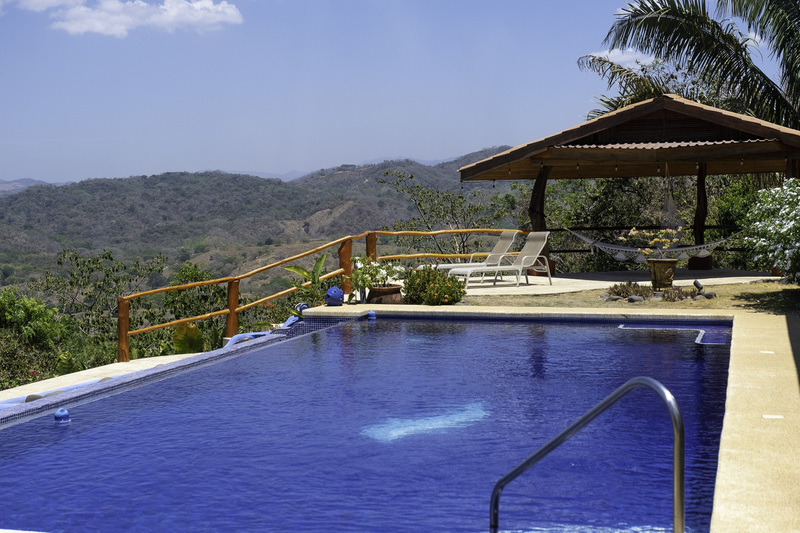 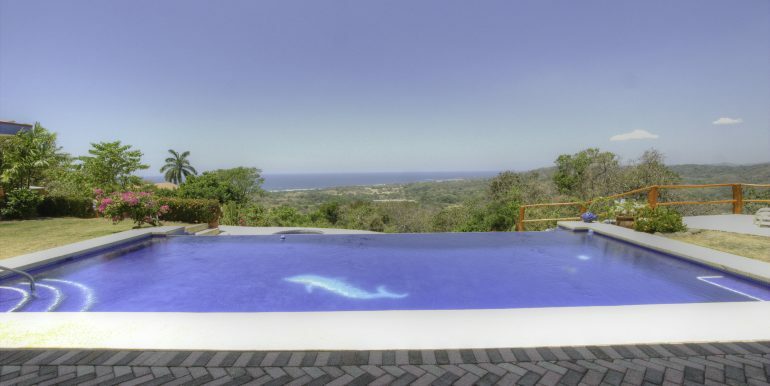 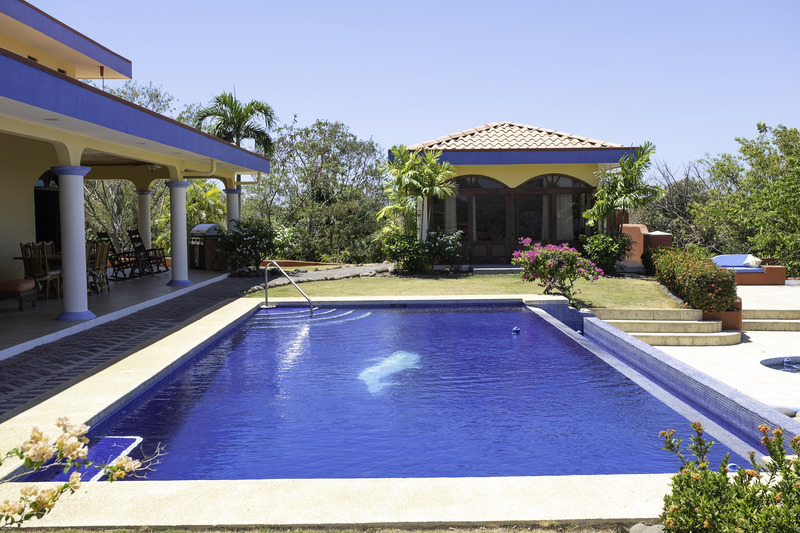 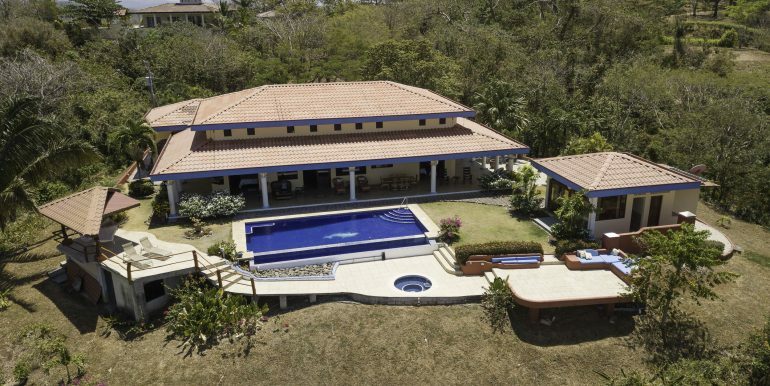 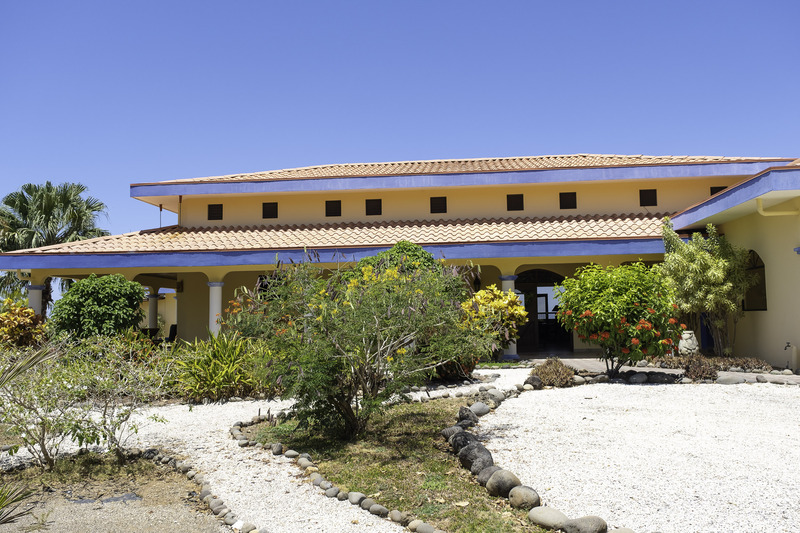 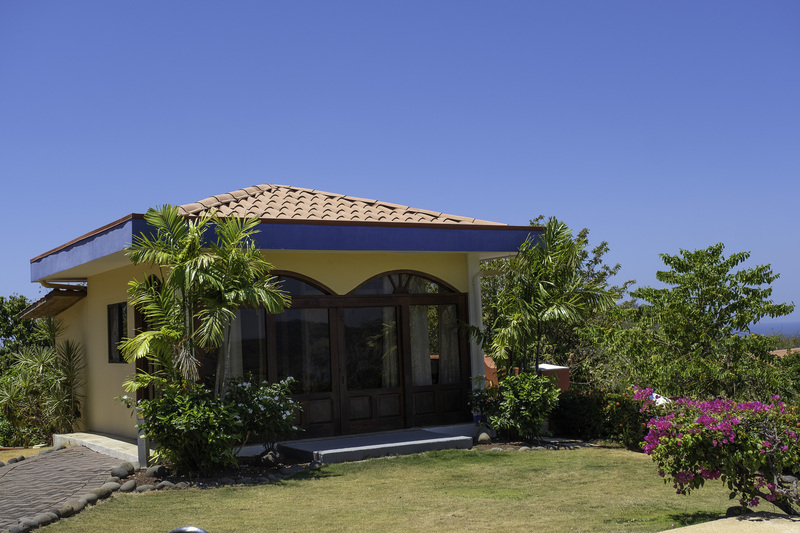 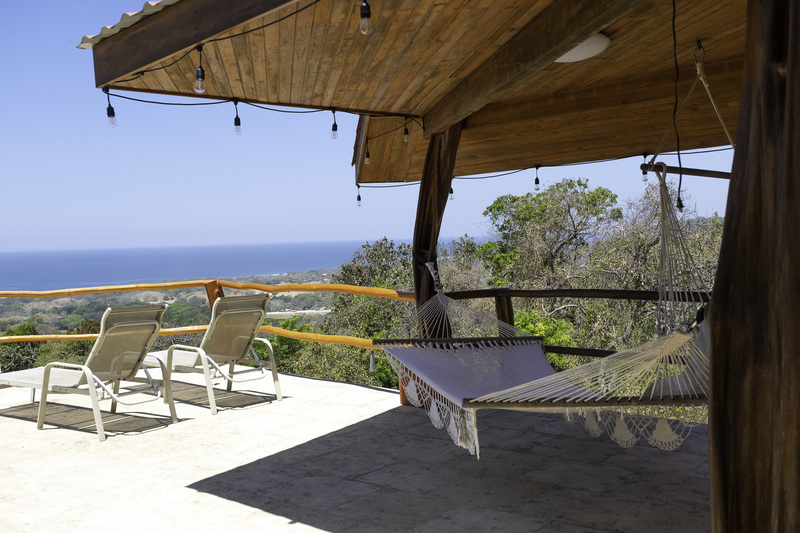 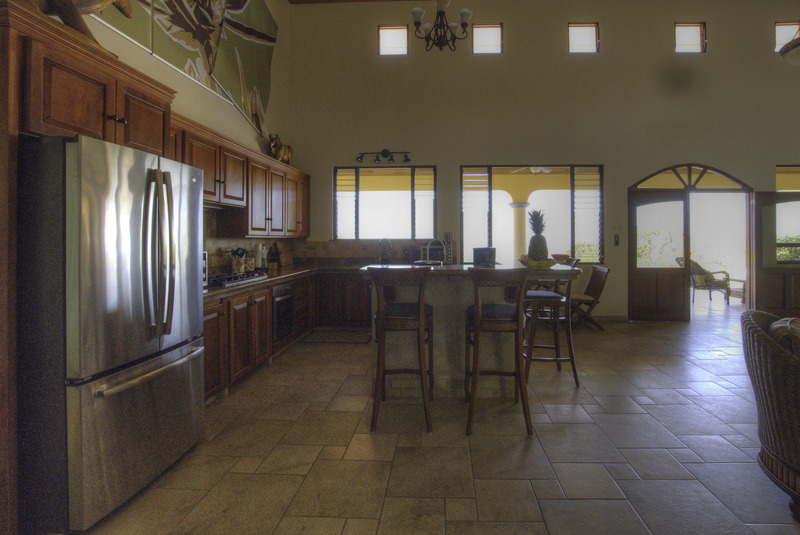 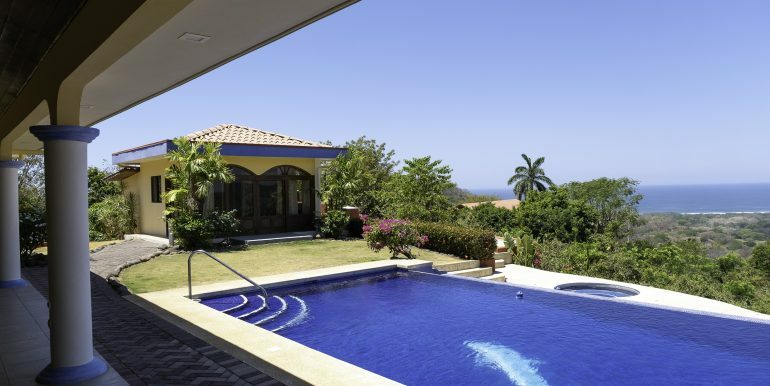 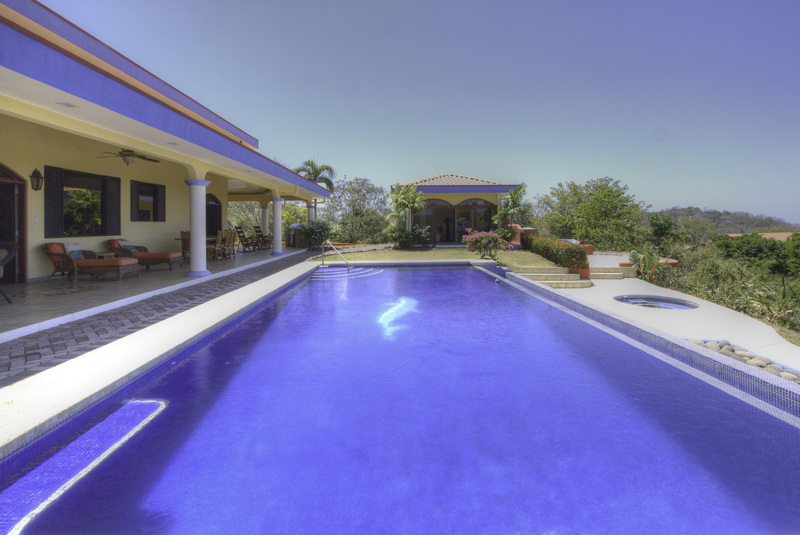 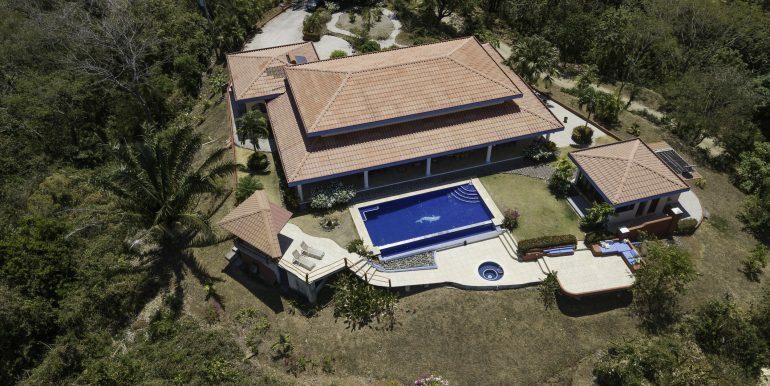 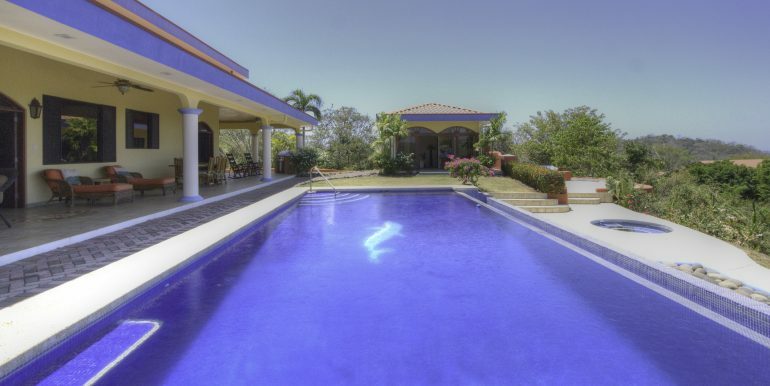 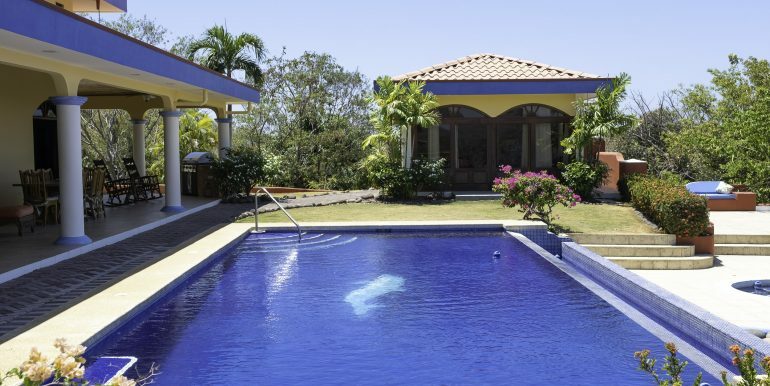 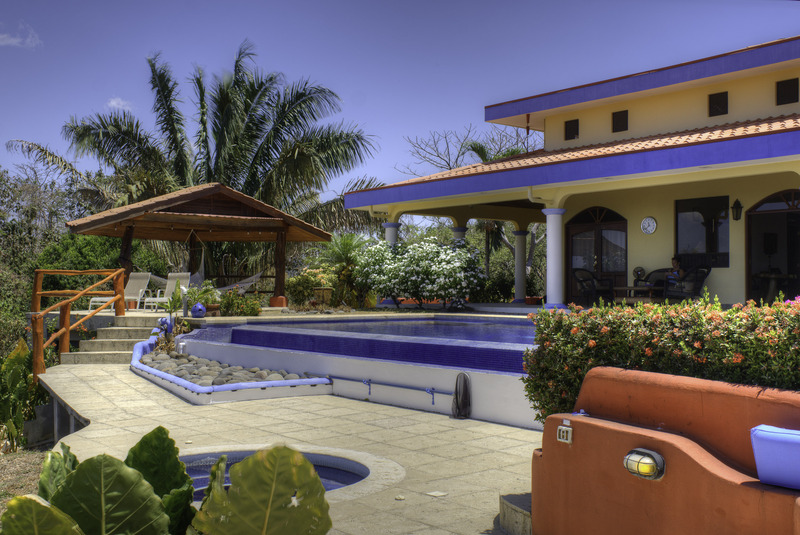 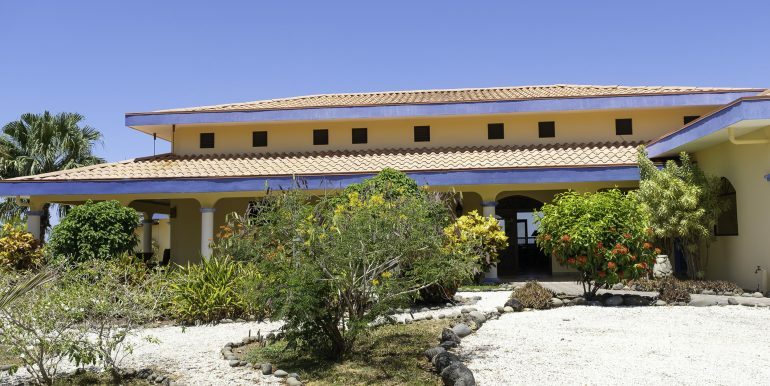 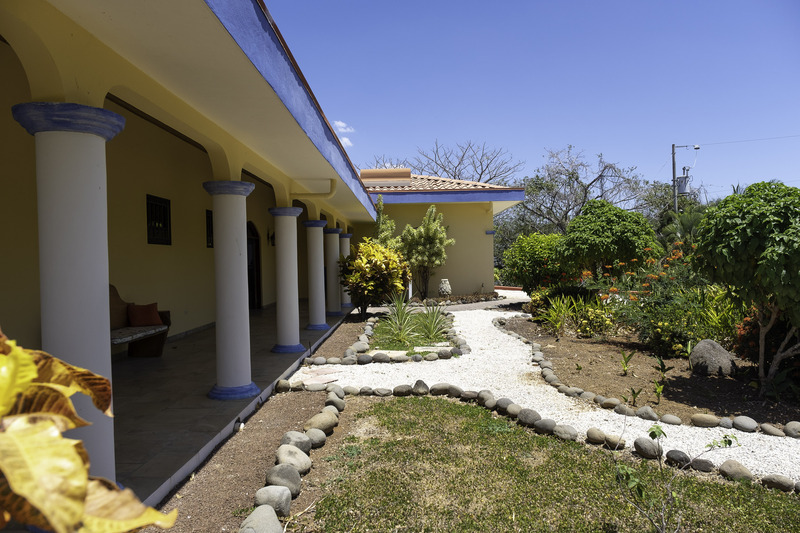 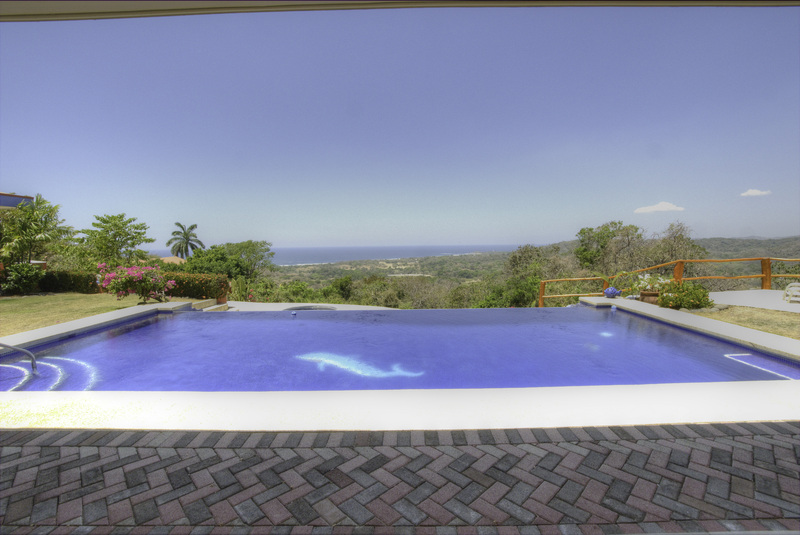 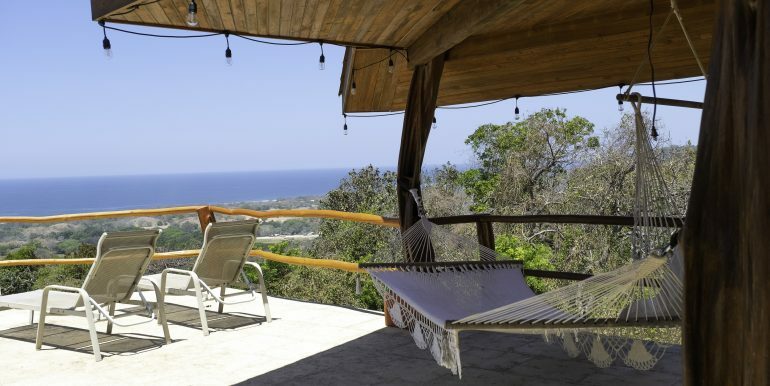 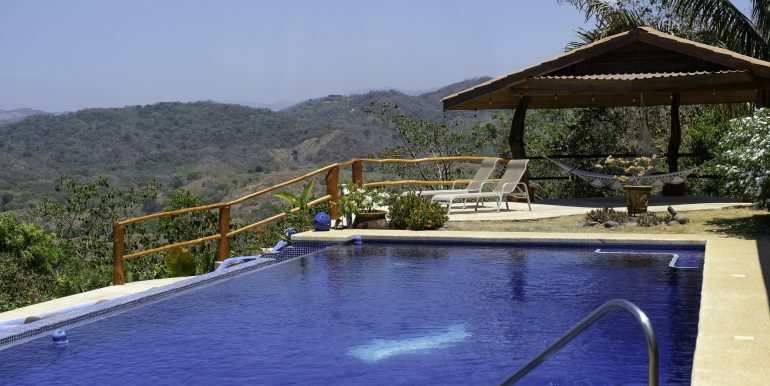 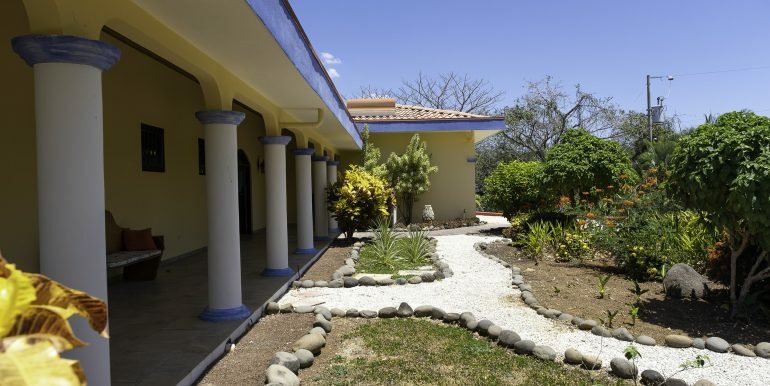 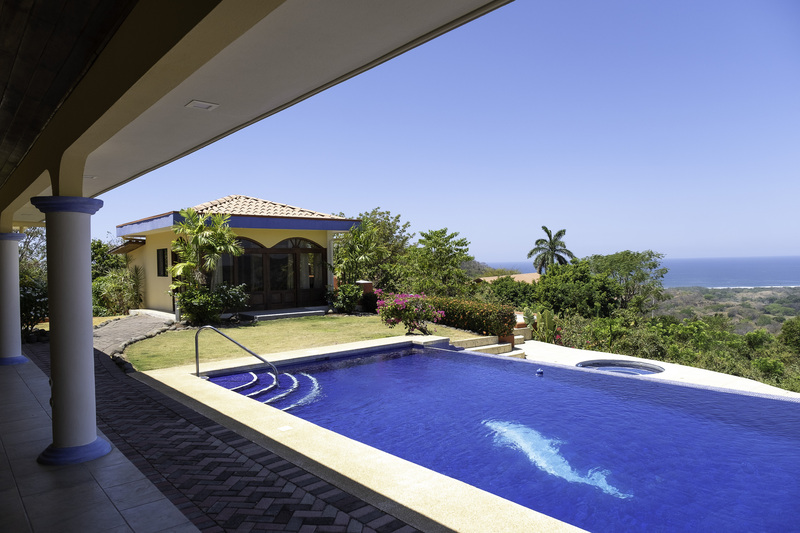 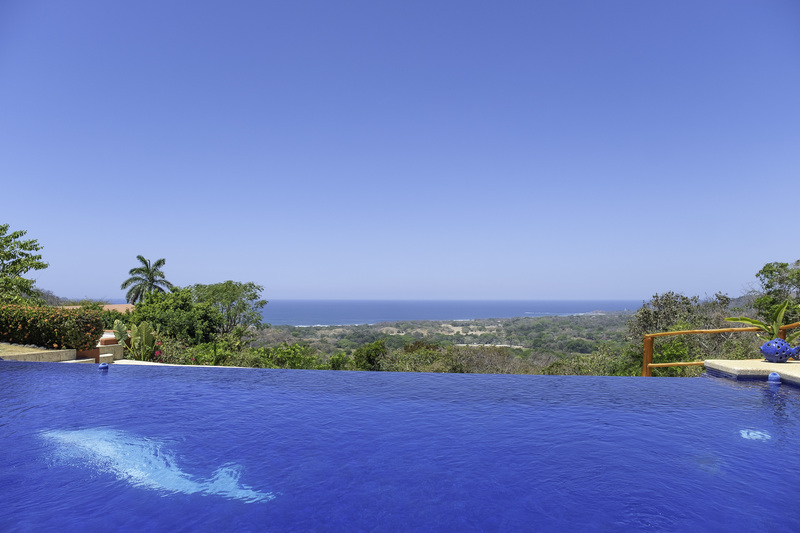 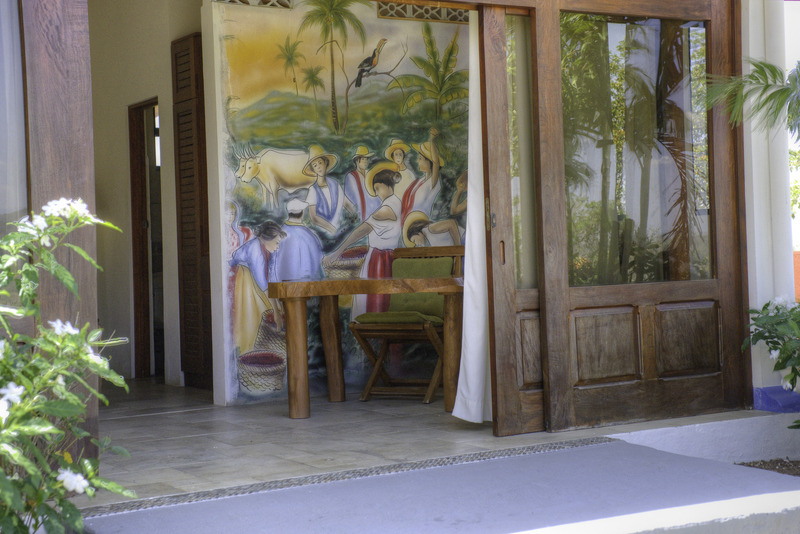 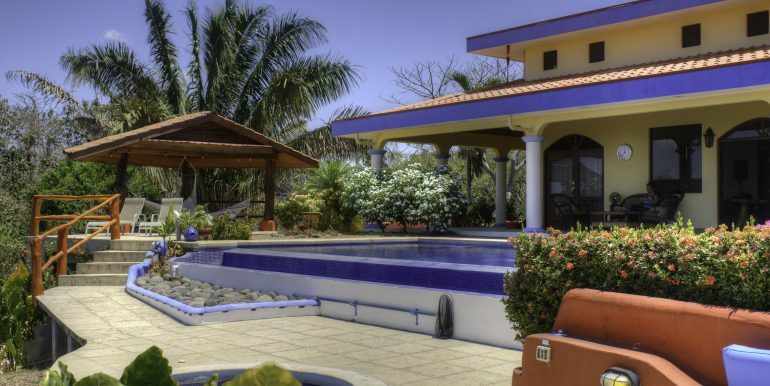 Casa Largo is located in the small gated community of Vista Royal in the hills above the beautiful bay of Garza. 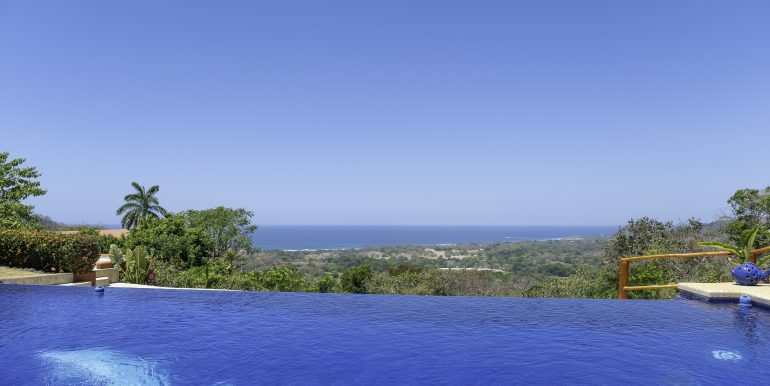 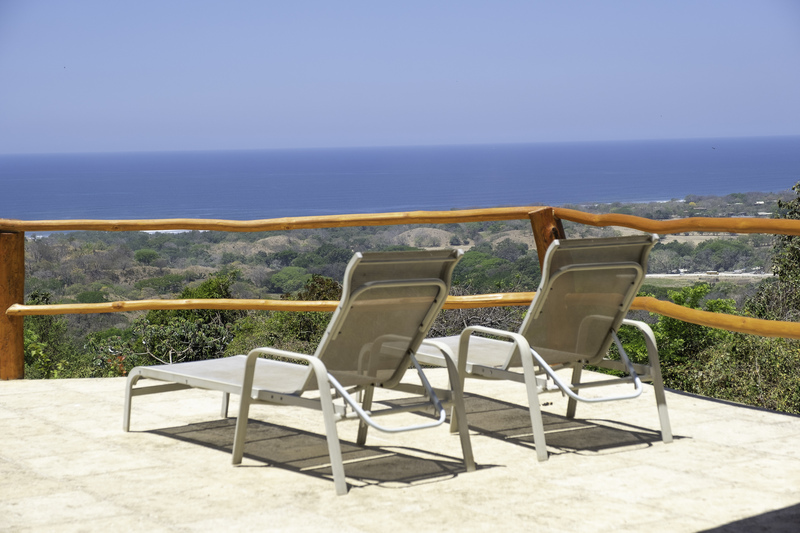 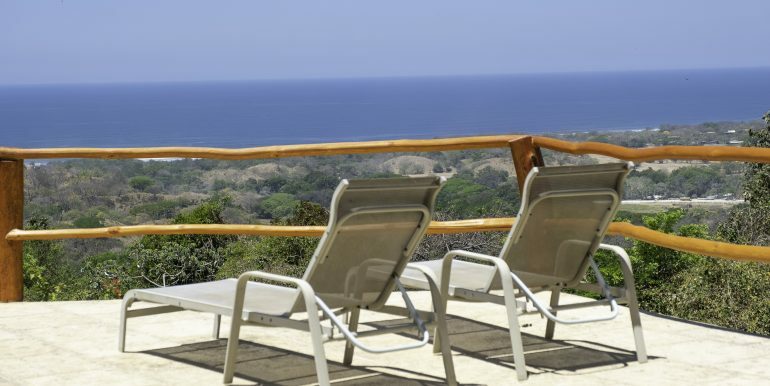 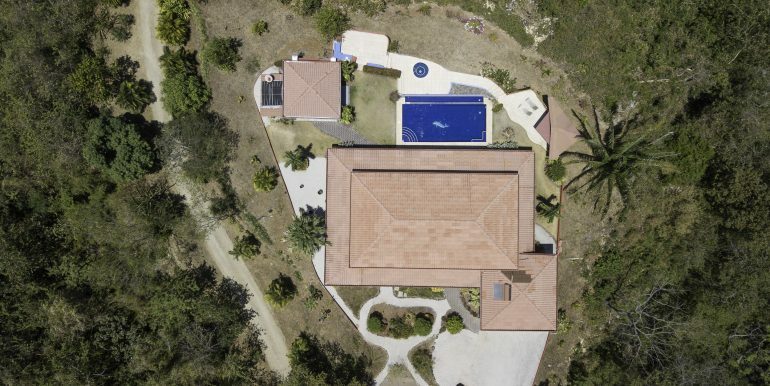 The expansive outdoor terraces offer stunning ocean views of Garza, Guiones and beyond. 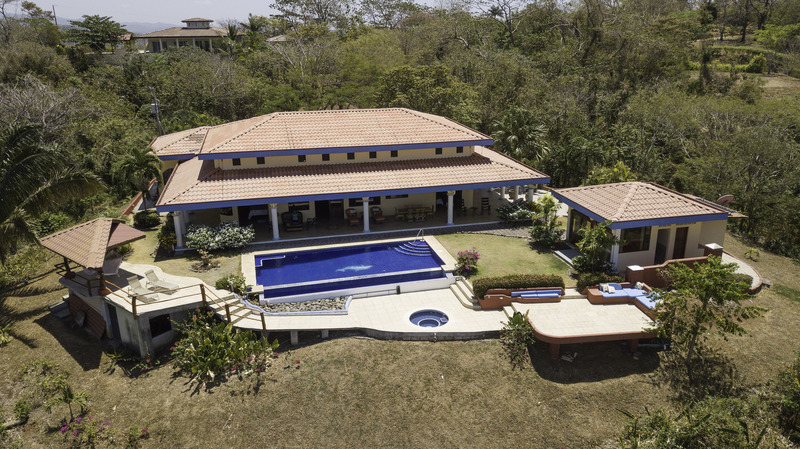 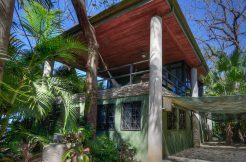 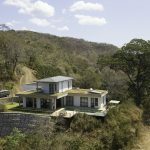 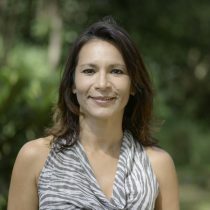 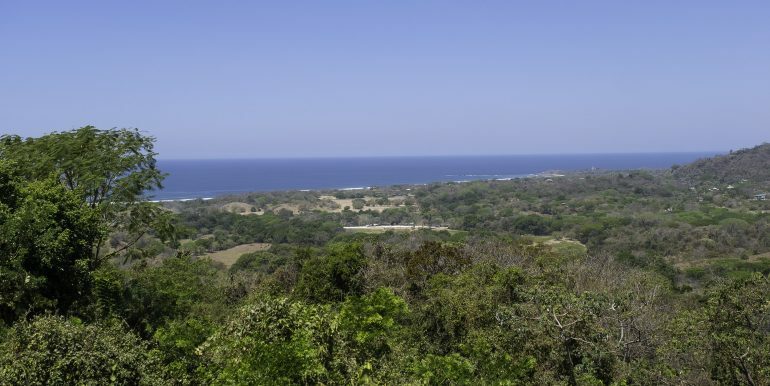 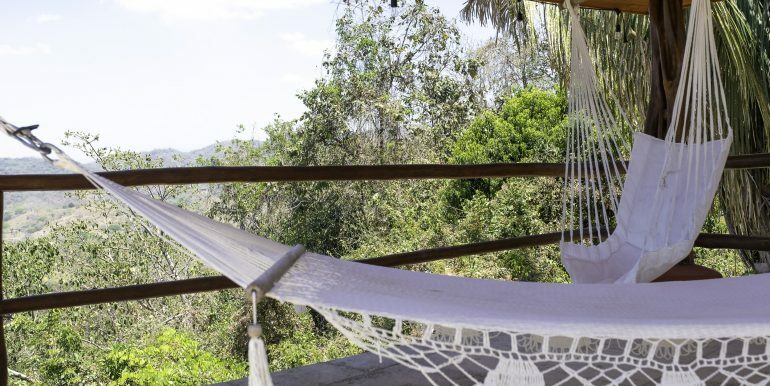 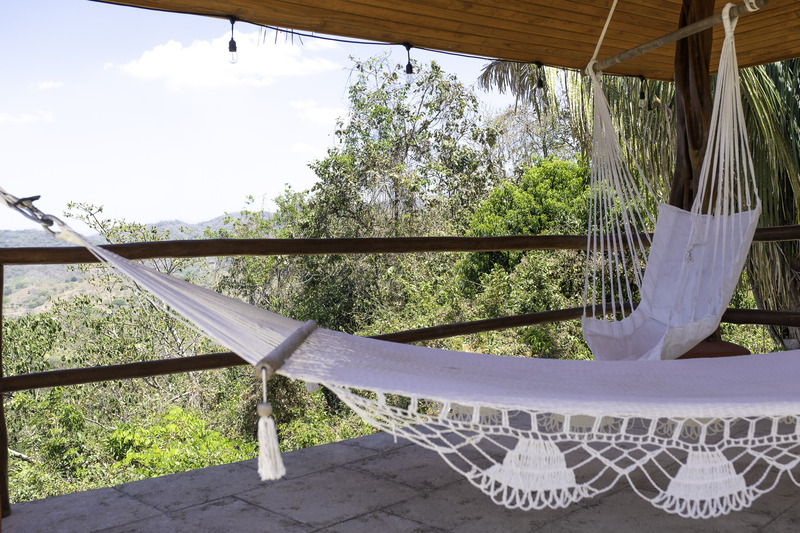 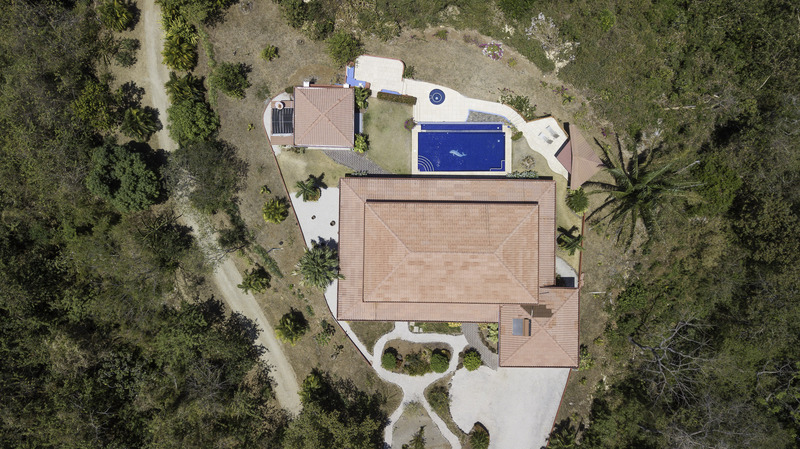 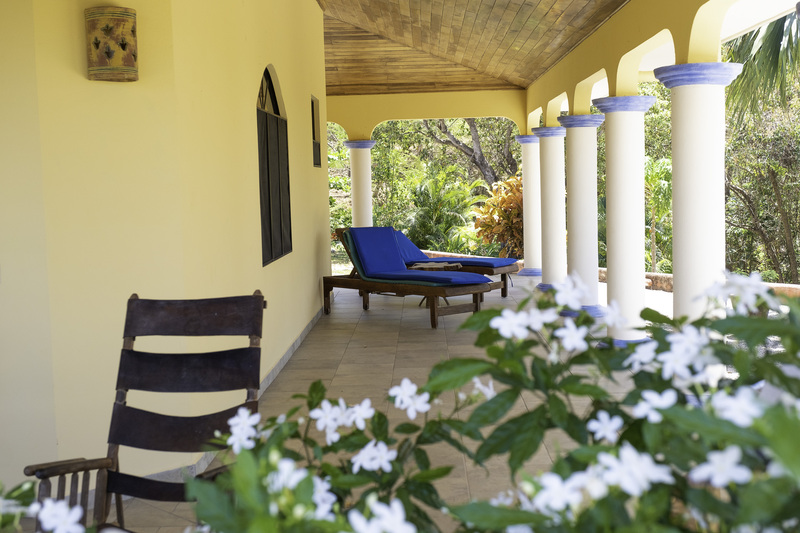 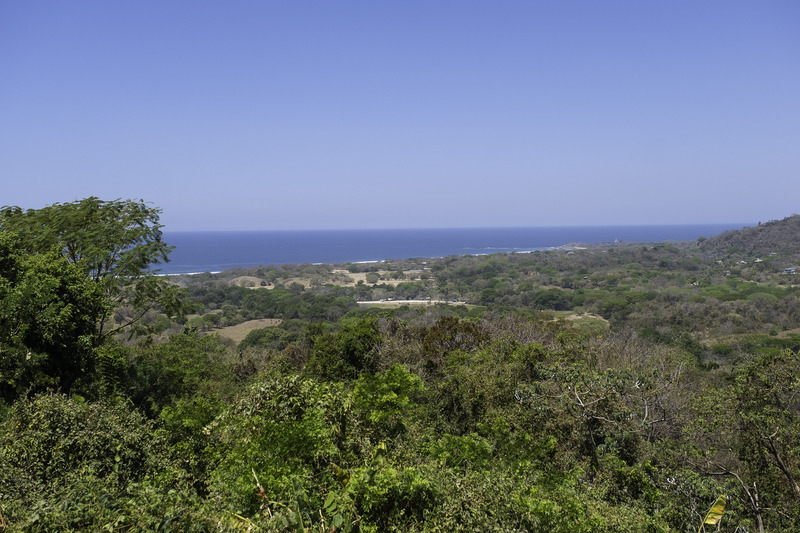 It is an ideal location that strikes a balance between access to attractions, and the peace of being surrounded by a pristine tropical dry forest. 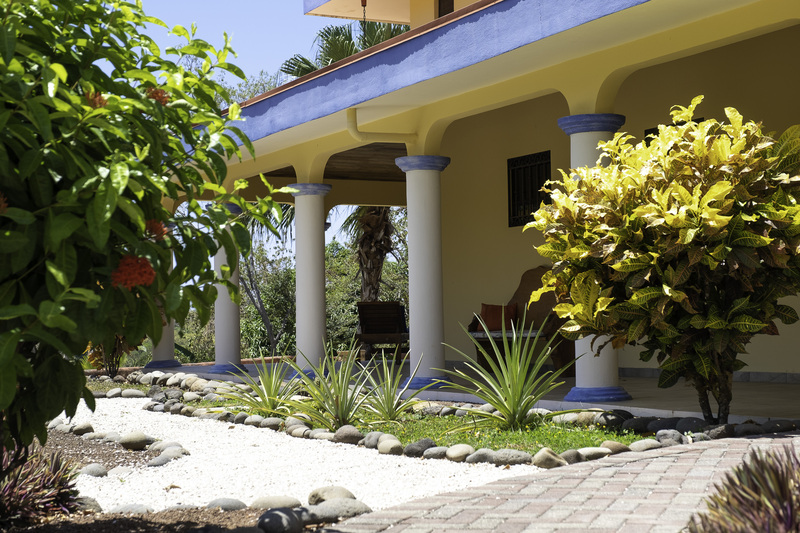 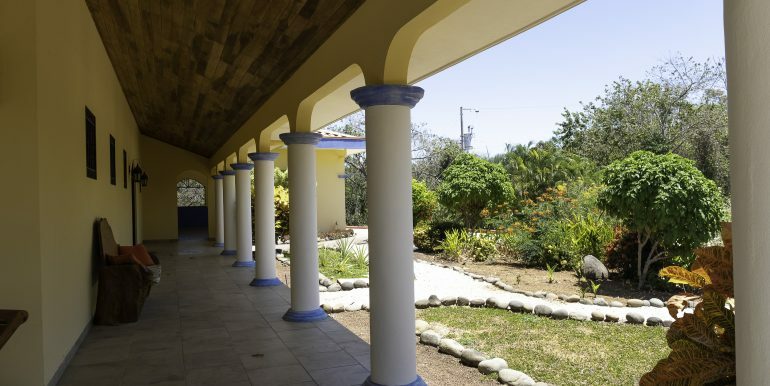 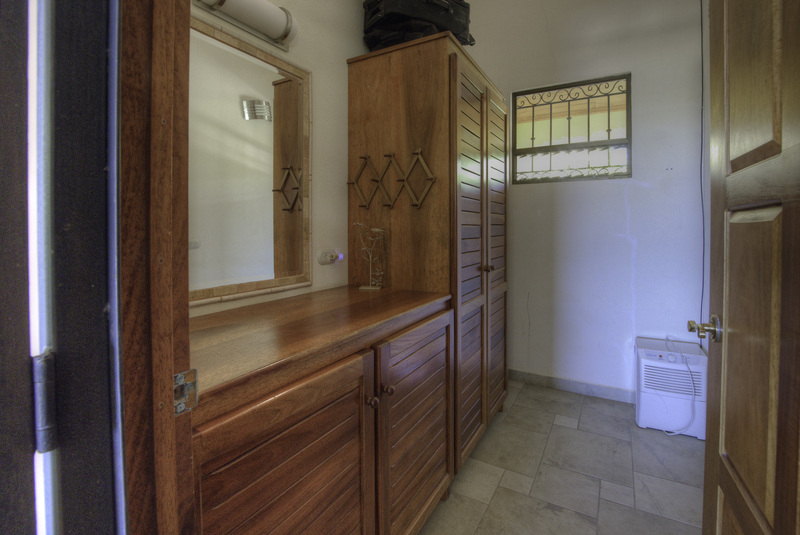 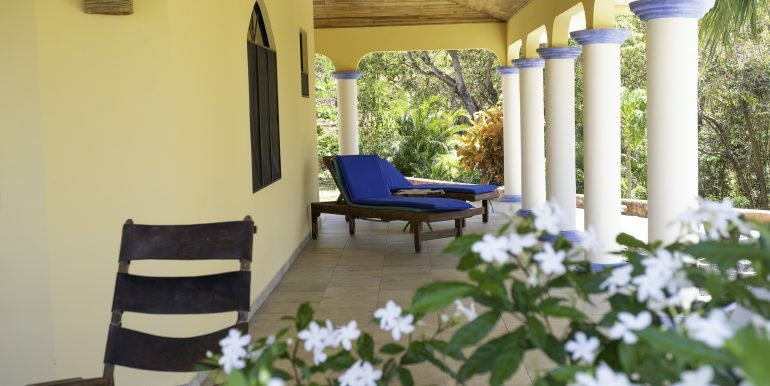 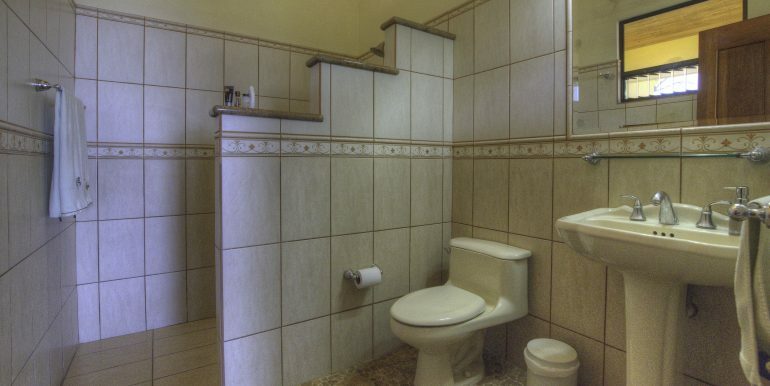 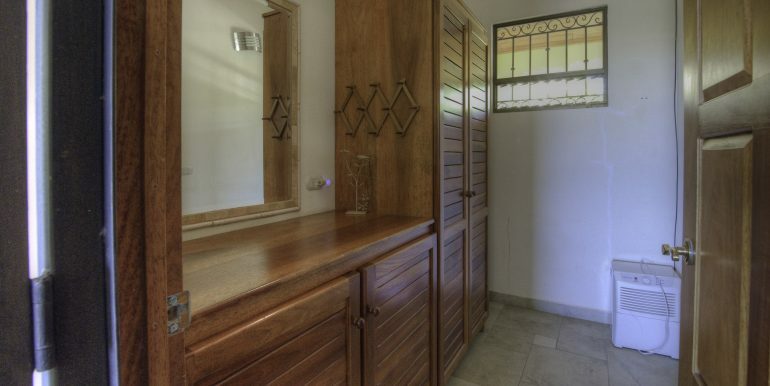 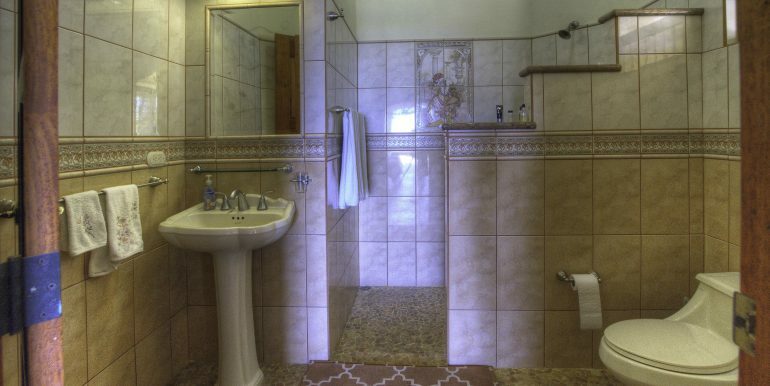 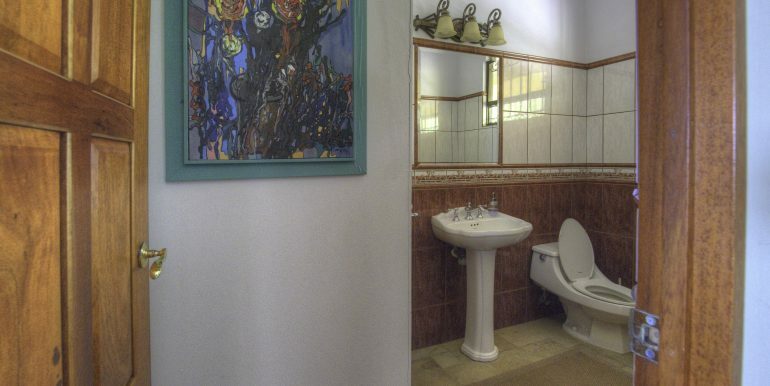 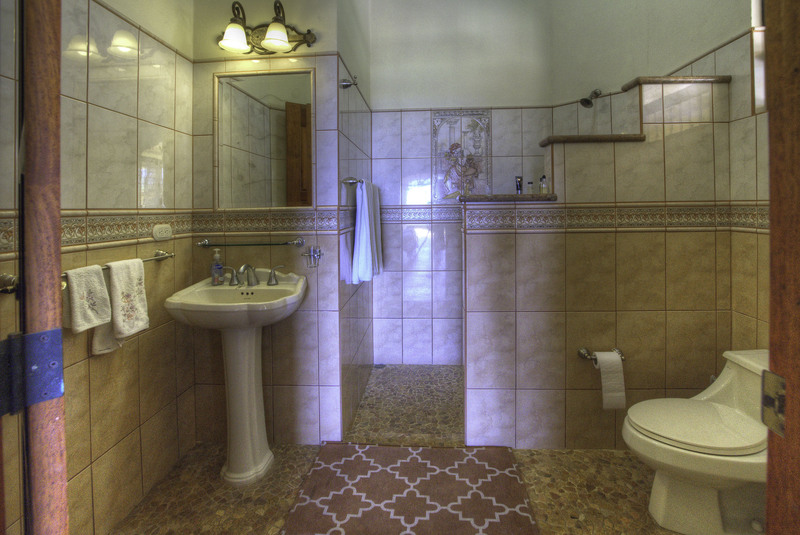 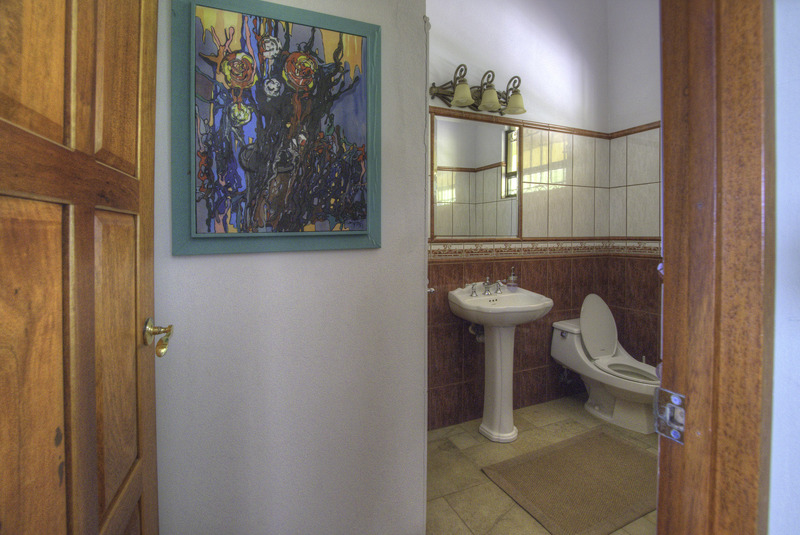 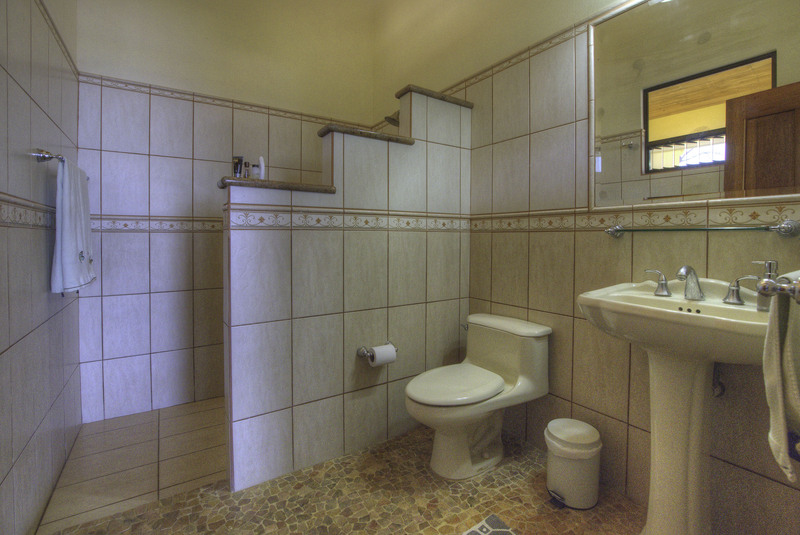 The house has been thoughtfully designed and maintained with impeccable attention to detail. 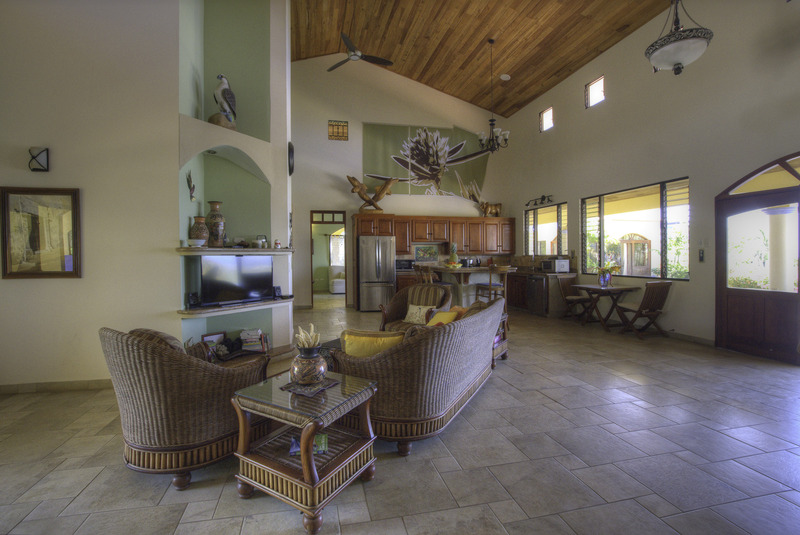 High ceilings and windows in the main house catch the prevailing ocean breeze keeping the house naturally cool. 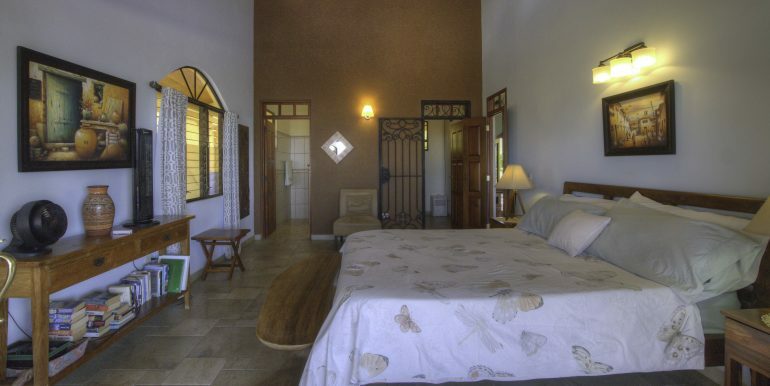 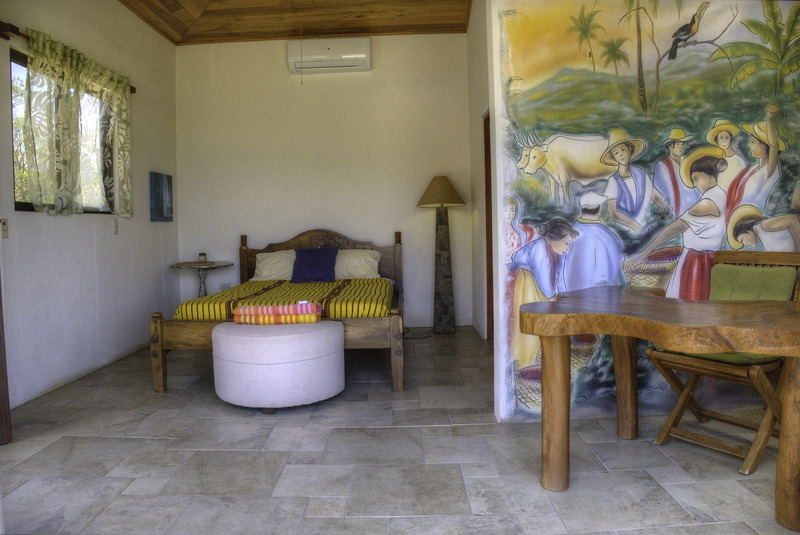 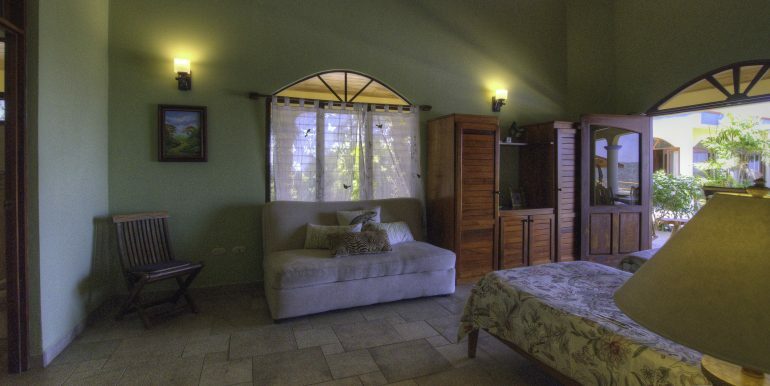 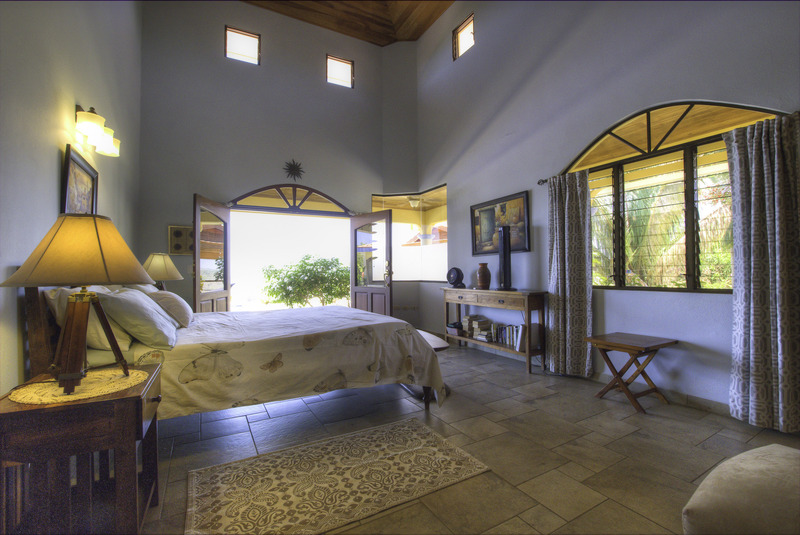 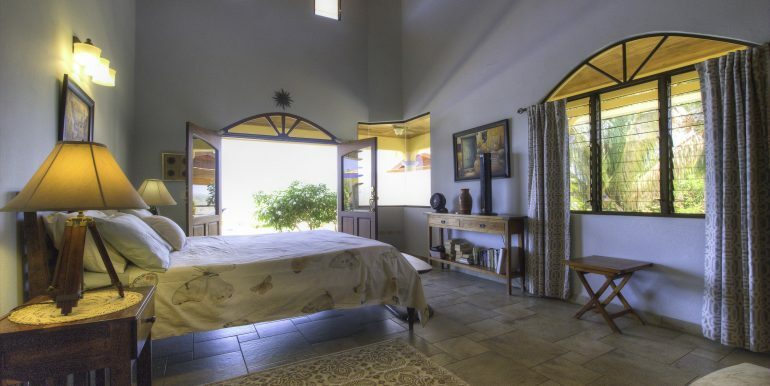 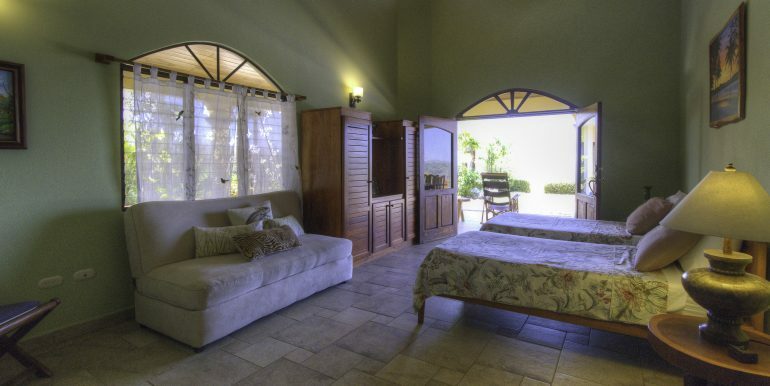 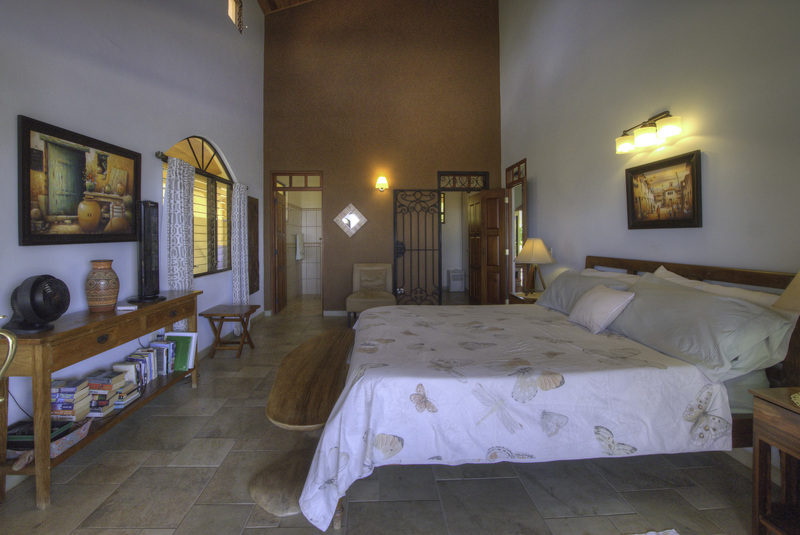 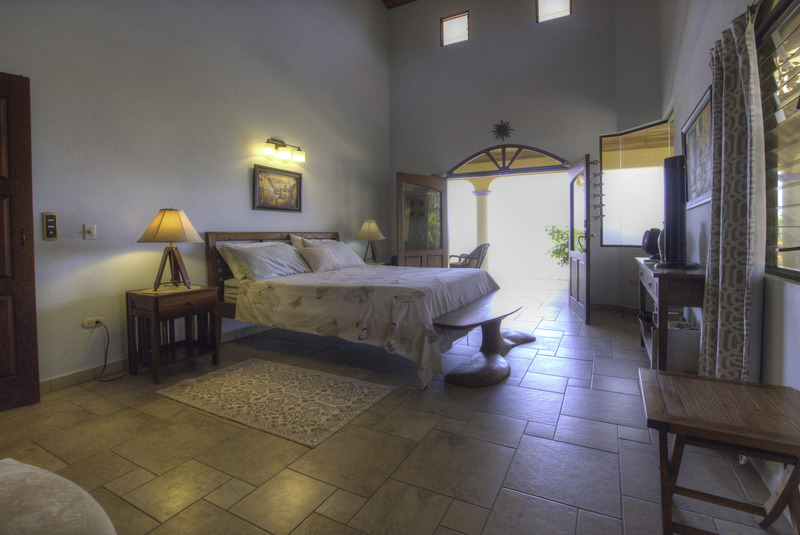 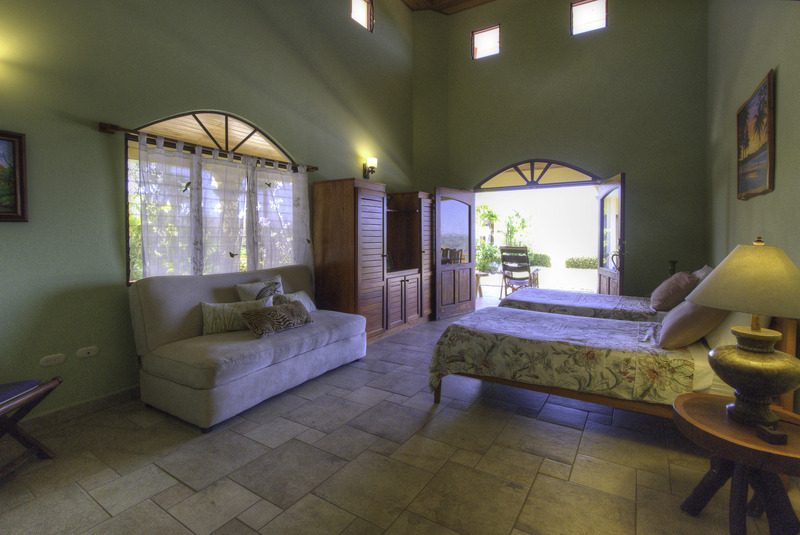 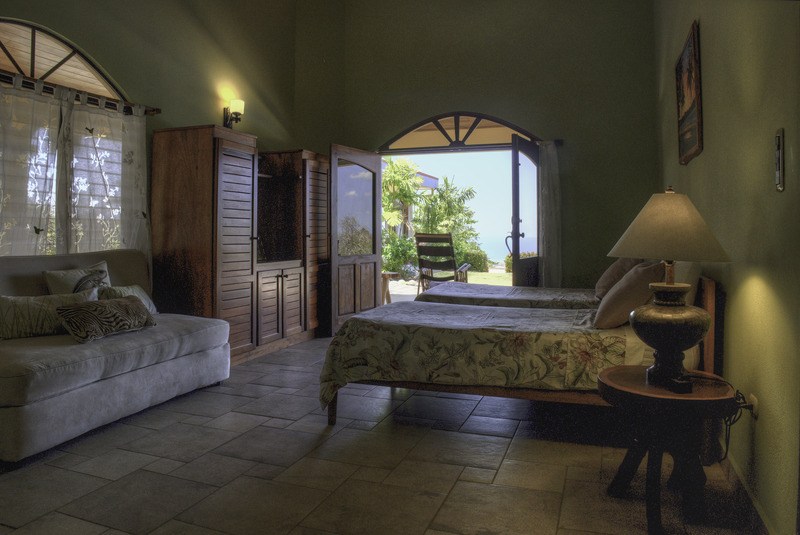 Two master bedrooms on either side of the main house are perfect for two couples to have their own space and privacy. 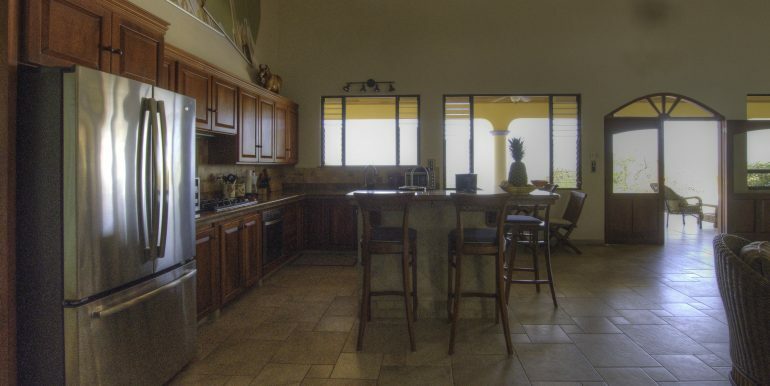 The spacious gourmet kitchen comes move in ready with high quality appliances. 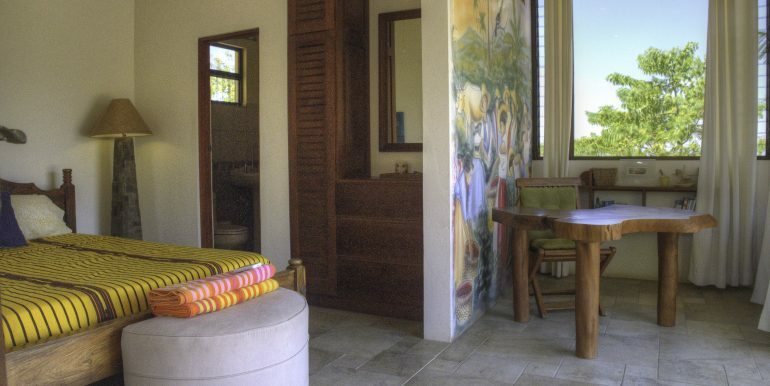 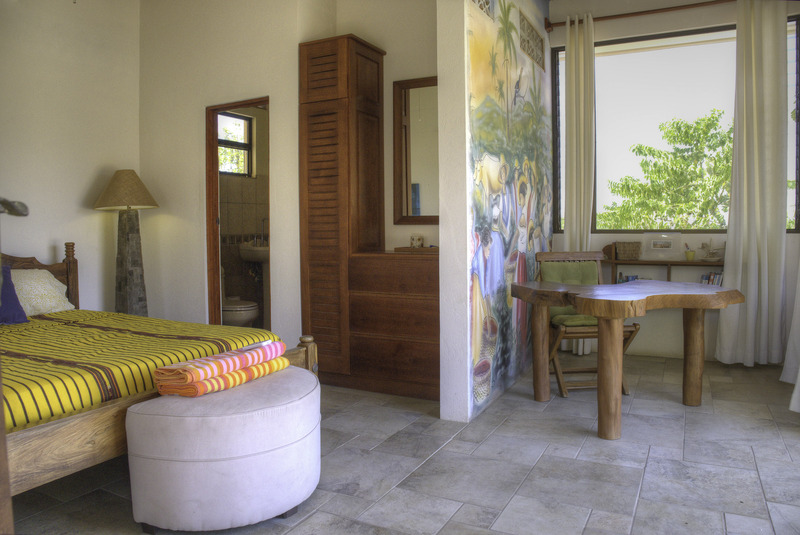 A detached guest room sits by the infinity pool and solar-heated jacuzzi. 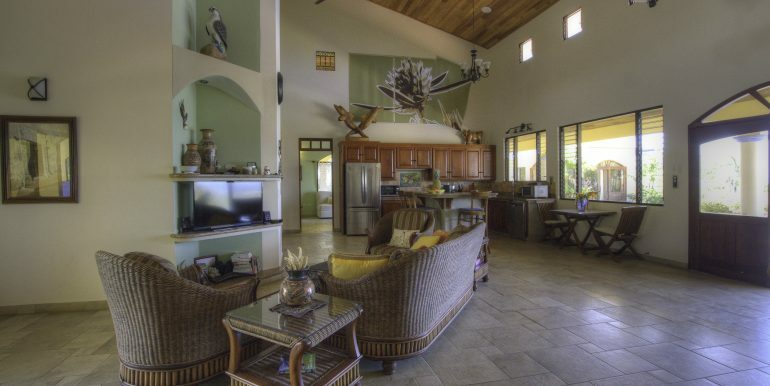 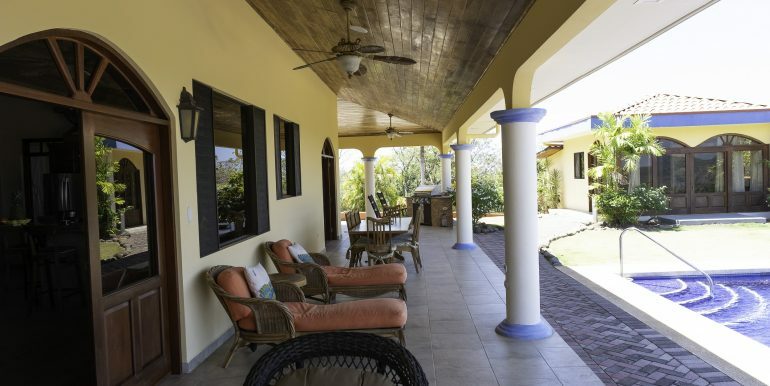 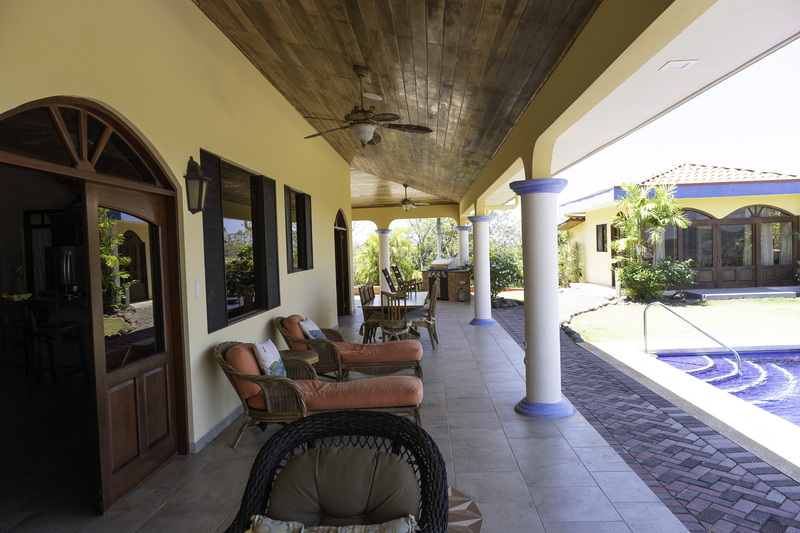 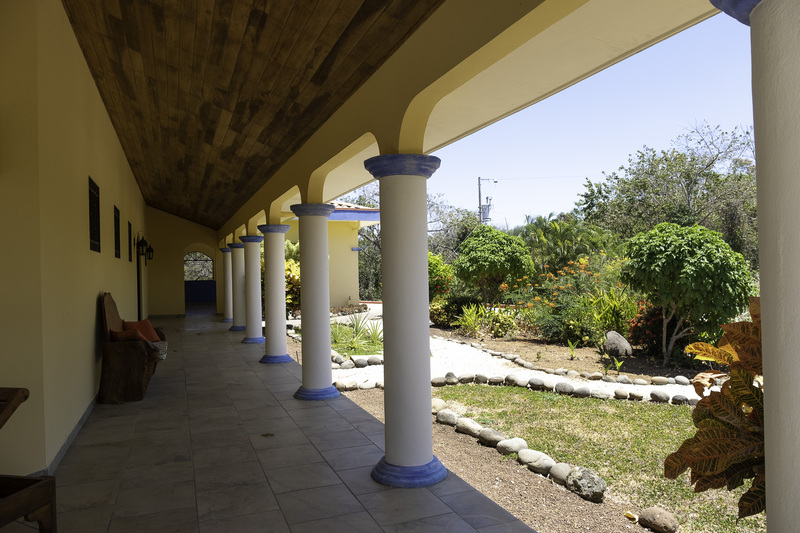 Large wrap-around veranda and rancho provide numerous outdoor spaces to enjoy. 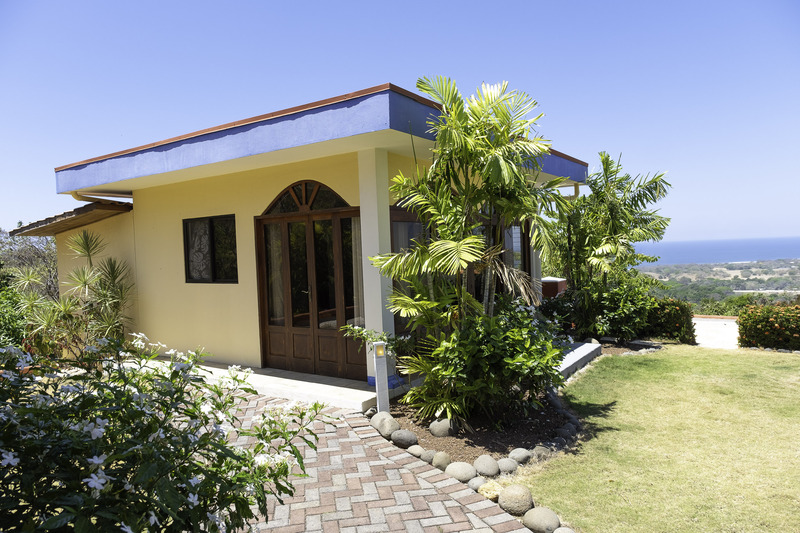 A fully enclosed two car garage provides convenient storage when you are away. 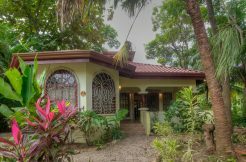 Schedule an appointment and come see for yourself why Casa Largo is one of the most attractive investments on the market right now. 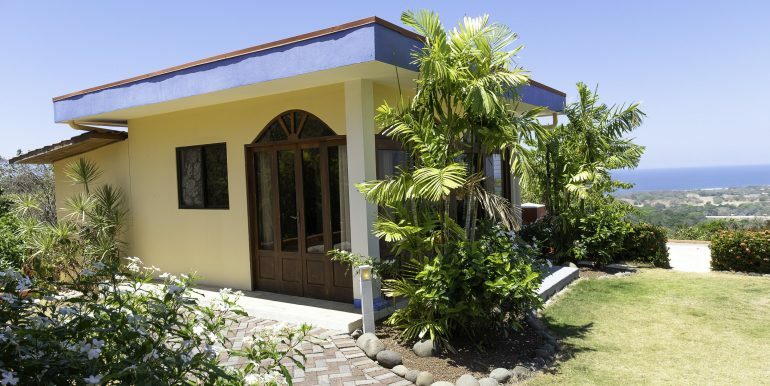 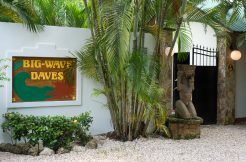 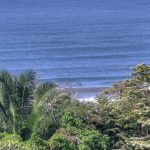 Beach Casita- Three Minute Walk to the Sand!